Concerns Over The Stability Of The Brooklyn Bridge Were Silenced By Marching What Over It? A product we absolutely take for granted (and have for decades) didn’t exist prior to the mid-20th century: mass produced kitty litter. Although cat lovers over the ages had experimented with making indoor cat boxes filled with substances like sand, ashes, paper, and other materials, they all had one critical flaw that kept nearly everyone away; they didn’t capture the pungent smell of cat urine. As such, our feline companions were essentially part time visitors. Most cats were outdoor cats, some cats were let in to lounge in the house for their cat naps, but very few cats were allowed to stay indoors all the time as there was nowhere for them to use the bathroom (and nobody wanted a box of sand saturated with cat urine in their back room). All that changed in 1947 when Michigan businessman Ed Lowe’s huge stock of Fuller’s earth (a special type of clay) finally earned its keep. Lowe had acquired the clay to sell to farmers as a bedding material for chickens to nest in, but it didn’t work well for the intended purpose and local farmers showed no interest in purchasing more. 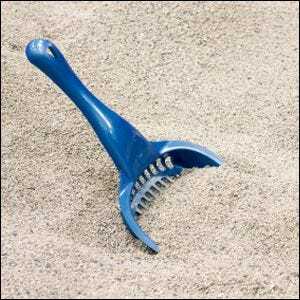 A woman came into his delivery service during a bitter cold January looking for some sand to make an indoor sandbox for her cat to use as her outdoor sand pile had frozen solid. Lowe, on a whim, sold her some of the clay he had laying around. Little did Lowe know he had not only found a purpose for his huge pile of clay, but started what would amount to an outright revolution in feline care. The woman returned shortly, singing the praises of the clay. Not only did it work just as well as the sand she had originally wanted, but the clay absorbed the urine smell. Soon the woman’s friends were coming in to purchase the clay, and Lowe started selling it in bags at local hardware stores labeled as, “Kitty Litter.” By 1954, Lowe’s kitty litter business had expanded, and his product adopted what would become a widely known name: Tidy Cat.